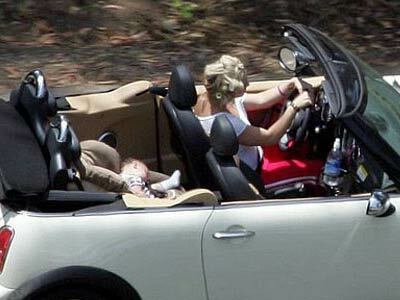 Just so you know Brit, infants are supposed to face backwards in their car seats and toddlers should face forward. We won't even get into the curlers in your hair situation but we will give you a gold star for at least using a car seat. Bravo.